Blending boards seemed to explode on the spinning scene about four years ago, but spinners have been using them for decades. 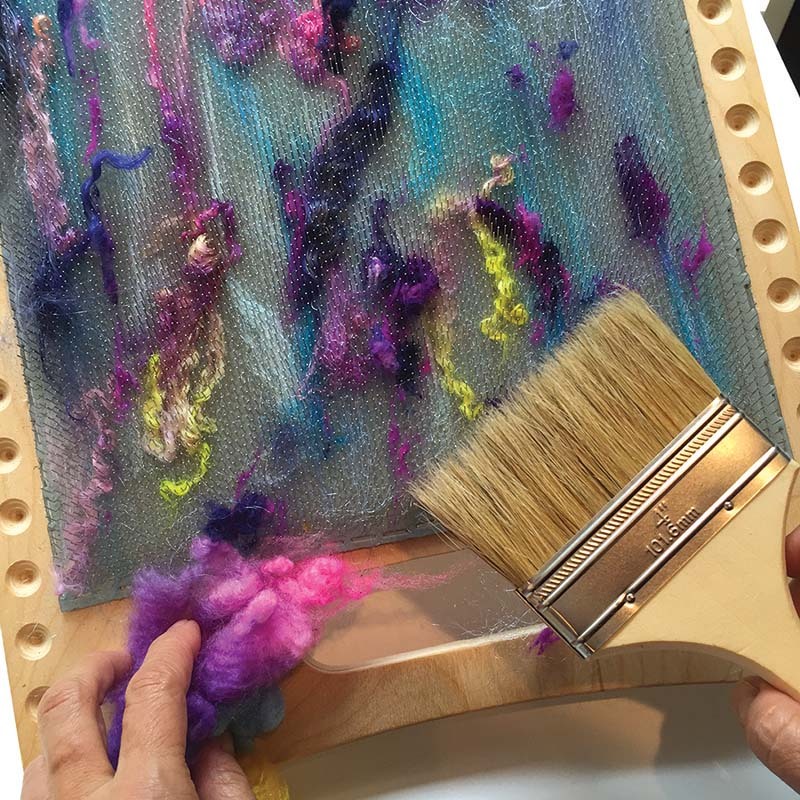 The blending board allows you to card rolags, punis, batts, and even roving. Whether you prefer smooth and subtle or funky and chunky blends, the blending board can produce a variety of fiber preparations. Here’s Deborah Held with more. The first layer you lay down on your board is what people see first, as this will be the outside of the batt when it’s rolled up. If you’ve got a shiny element, such as bamboo, Angelina, Firestar, silk, or Soysilk, start with a light layer of that (figure 1). It doesn’t need to be a full layer. Next, add a thin layer of your wool—locks or combed top—using a hard-bristle paintbrush or a soft-bristle grooming brush to help guide the wool and your add-ins and to tamp down areas as you work (figure 2). 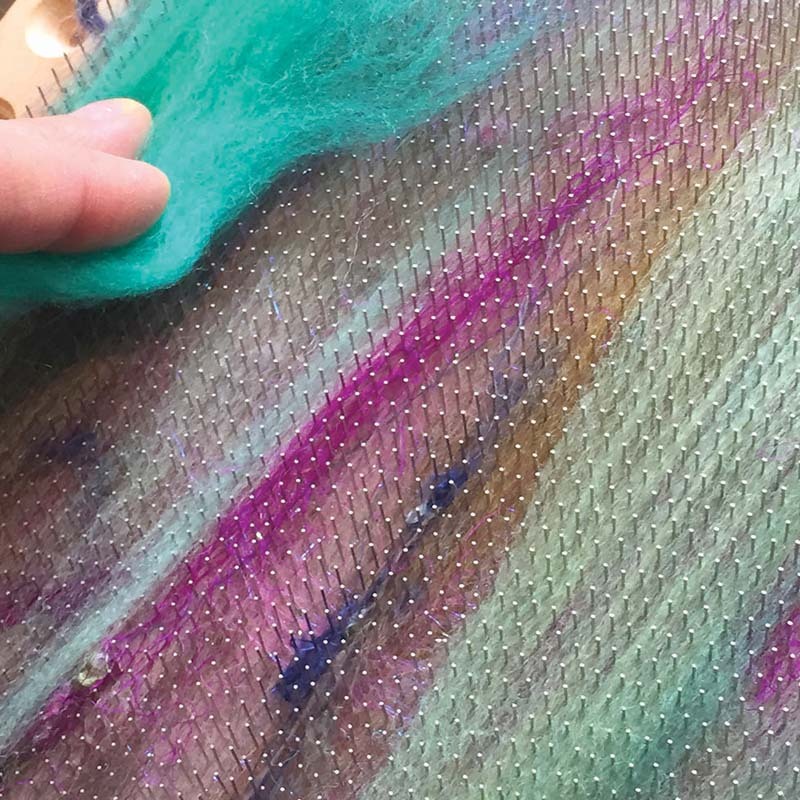 To ensure that the fiber and accompanying bling or blends of fibers with varying staple lengths adhere together, as well as to smooth down raised areas of built-up layering, you’ll need to brush the wool using either an actual burnishing brush or a cat or dog grooming brush with wire teeth. 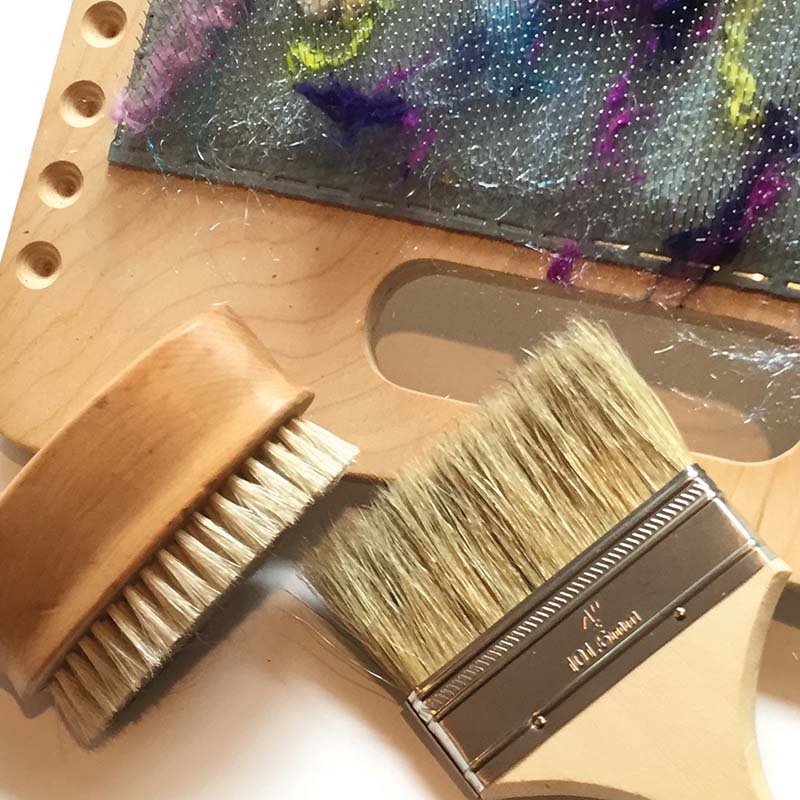 Start burnishing during the first two or three layers whenever you need to blend or smooth your fibers, and continue until your board is packed (figure 3). Alternate thin layers in this manner until the board is full, burnishing every few layers. For added appeal, you can match the top layer of your batt to the bottom, whether by rolling on an additional layer of silk or Firestar or even curly, bright locks to match the fiber with which you started. Always use the very best of materials, especially your wools. 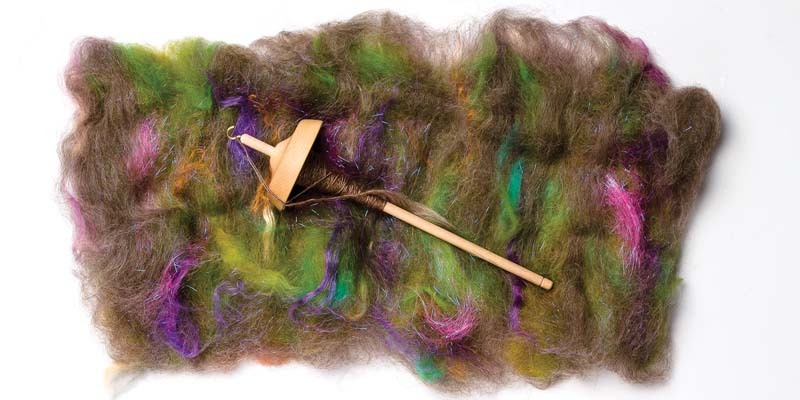 While fiber from any of your favorite short-to-medium-stapled breeds will likely do, a low micron count (no higher than 20) will ensure a soft, lofty batt for spinning. Blend in luxury fibers such as yak or camel, or even alpaca, for added lushness. Excerpted from “Blending Board Tips” by Deborah Held, Spin Off Spring 2016. Featured Image: Photo by Joe Coca. Deborah Held is an Atlanta-based freelance writer who spins and knits (okay, mostly spins). Debbie lives with Iggy, her needy Italian greyhound. Find her online at www.debbieheld.com. Card your heart out with these resources!